Here is a mini-review of a bunch of handcreams that I use. 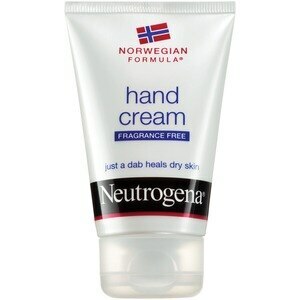 Neutrogena Norwegian Formula Hand Cream. This is my go to handcream for super dry winter hands. The formula is very thick (almost like a vaseline you left in the sun for awhile) and has a slightly weird ‘non’ scent. This cream takes ages to rub in as it is so thick, so don’t use too much, however it is brilliant at repairing chapped hands. Neutrogena Deep Moisture Handcream Butter Cream. I tried this handcream because I love my other Neutrogena handcream and I love vanilla/caramel/buttery scents. I like this hand cream but it is nowhere near as nourishing as the other Neurtrogena handcream. The butter cream smell does smell sweet and buttery, although everytime I use it, there are a few seconds of ‘oh, that smells a bit weird’ before it settles into something nicer. It feels like a lighter cream and melts in quickly. I love …… coconut and cream super soft hand lotion. This handcream smells delicious, however, for people who love that overly coconut smell, this isn’t for you. This smells mostly of the ‘cream’ part of the name, with just a touch of coconut. The cream is reasonably thick and rubs in quickly. There is a slight greasy feel for a minute or two, but this then sinks in and hands feel moisturised but not greasy. Aveeno Intense Relief Handcream. This handcream moisturises well, sinks in really fast and doesn’t leave a greasy residue. The tube claims that it lasts through washing hands – I’d say this is true, as my hand still feel moisturised afterward. The only thing I don’t like about this cream is the smell. Its not particularly strong, but it isn’t nice. Essence 24h hand protection balm - Caramel Hot Chocolate (winter edition). This handcream is very lightly scented, but the scent is a caramel, hot choc powder type smell. The cream is thick, rich and moisturising. It does take awhile to rub in and leaves a slight 'creamy' feeling residue. I love the neutrogena one too. Will have to try out some of these ones.